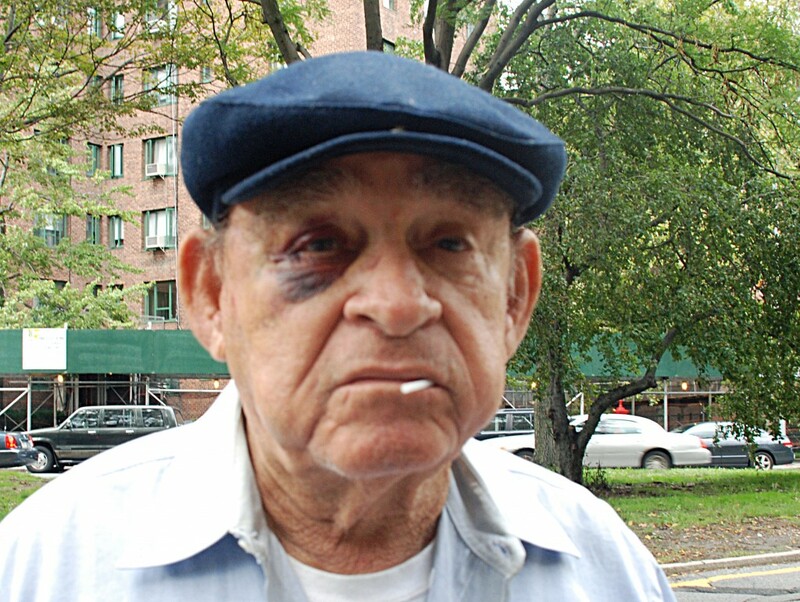 NEW YORK — An 81-year-old Parkchester resident was knocked down and punched inside the front door of his apartment building Thursday afternoon by a young male assailant who tore off the senior’s jewelry and emptied his pockets of cash. Police released security video footage from the building at 1555 Unionport Road that showed the attack lasted less than a minute. The elderly victim, Jose Rodriguez, sustained minor injuries, including multiple bruises. The footage shows Rodriguez, who was returning home at around 4 p.m., opening the door to his building, when a man wearing a towel draped over his head grabs him from behind.